Hailing from South Australia's elegant and cultural capital of Adelaide, Quentin Angus leads a vibrant and formidable US quintet with the modern fusion-like Retrieval Structure, the young guitarist's debut as leader, delivering a set of fresh, sophisticated compositions. 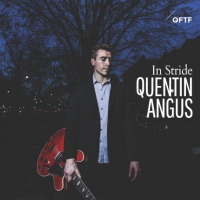 Currently based in New York while he pursues a Master's degree from the State of New York Purchase College, Angus has toured internationally, appearing at various jazz festivals throughout Europe as well as performing at some of New York City's most popular jazz venues with his quintet. An award-winning artist, Angus has been the recipient of the ASCAP Young Jazz Composer Award, DownBeat Magazine's Student Music Awards for the Best Soloist and Best Composition, as well as APRA's Award for Excellence in Jazz and others. It's not his virtuoso playing, but rather his creative and intelligent compositions that carry the date. The opening "Coltrane Matrix" is a classic example of his first American recording's intricate and challenging music. Playing a prominent role on the album is saxophonist Chad Lefkowitz-Brown; a fixture on the city's jazz scene, Brown is a veteran whose phenomenal playing is the perfect complement to Angus' excellent performances. The title track and "Level 21" are journeys into the modern side of jazz, revealing more of the guitarist's compositional depth and highlighting the exquisite play from Brown (on soprano), Northern California native, bassist Scott Colberg, and much in-demand New York drummer, Kenneth Salters. "The Heights" features pianist Matthew Sheensanother prominent, award- winning Australian player and rising starwho joins Angus in a duet on this, the album's lightest and most memorable track. While Sheens delivers another fine solo on "The First Fall," it is the guitarist and Brown who truly shine with spectacular solos. The lively "Phyrgia" provides the hardest-driving moments of the set, with Angus' rock-style riffs, Brown's steamy tenor work and the entire group's blistering play. 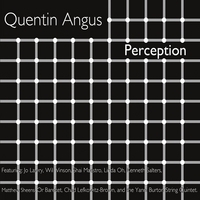 Closing the project with the forward-looking "What The Future Holds" and brief but fiery closing statement "Sentient," the Quentin Angus Quintet decisively stakes its claim as one of the more serious jazz groups around. 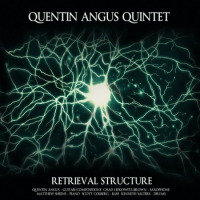 Containing a fair share of dazzling solos, fine musicianship and original modern jazz that sparkles throughout, Angus' Retrieval Structure certainly qualifies as an impressive debut. Track Listing: Coltrane Matrix; Retrieval Structure; Level 21; The Heights; The First Fall; Phyrgia; Five Ahead; What The Future Holds; Sentient. Personnel: Quentin Angus: guitar; Chad Lefkowitz-Brown: tenor saxophone, soprano saxophone; Matthew Sheens: piano; Scott Coldberg: bass; Kenneth Salters: drums.